Come join the fun at Depot Fest on Saturday, September 8th! This fun street fair will be held in the Depot District and highlights include Lemonade Day, vendor booths, food, and a breaking the Guinness Book of World Record’s record for Longest Soul Train. 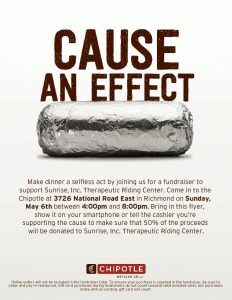 Sunrise will be serving up Pork Chop Sandwiches and Roasted Corn. Put on your dancing shoes and come on down to enjoy the fun. Festivities run from 12-6 pm. Stay for the evening concert featuring Big James and the Chicago Play Boys & the Tempted Souls Band. Tickets are $15 in advance and can be purchased at the Sunrise Booth. 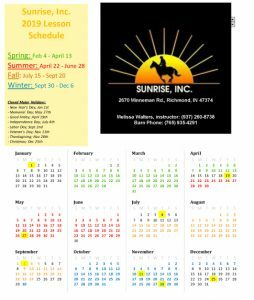 Money raised supports the mission of Sunrise Therapeutic Riding Center to promote the health and social development of those with physical, mental, and social challenges through equine assisted therapeutic activities. On Wednesday, April 18, riders, volunteers, and staff came together to celebrate the successful completion of our early Spring riding session. 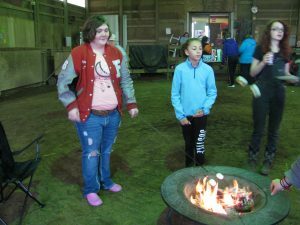 Over 35 people enjoyed pizza and s’mores while connecting with each other and sharing stories about their Sunrise Experience. We would like to thank all of our volunteers who help us make a difference in the lives of others. 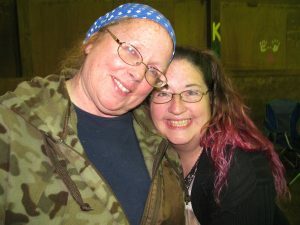 The Sunrise barn is filled with smiles and laughter during lessons and our volunteers contribute to that joy. Our riders are very special to us. Thank you for allowing us into your lives and sharing your challenges, hopes, dreams, and achievements with us. You all are such an inspiration. Our next ten week session of lessons begins on Monday, April 30. If you would like to participate, let us know. We are scheduling lessons now and have a few spaces left. If you would like to become a volunteer, give us a call and we will get you trained to help as a sidewalker, horse leader, or stable maintenance. If you are interested in making a monetary donation to Sunrise, our Scholarship Fund helps our riders in need who cannot afford to pay. Currently, 90% of our riders receive assistance from the Scholarship Fund which is supported by generous donations from people like you. We are very excited to begin our next round of lessons and look forward to the Ice Cream Sundae Party to once again celebrate our success! 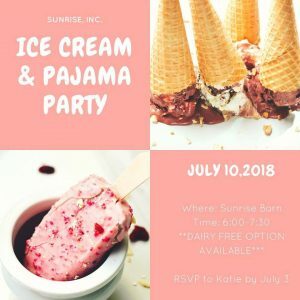 Sunrise, Inc. Therapeutic Riding Center is now offering equestrian programs for veterans and certification mentoring for individuals pursuing PATH Intl. registered instructor certification. Injured or disabled veterans are eligible to participate in Sunrise’s therapeutic riding and horsemanship programs free of charge. Veterans will have the option of enrolling in a ten week course beginning in spring 2016, or registering for private lessons. Further information about these options is available here. 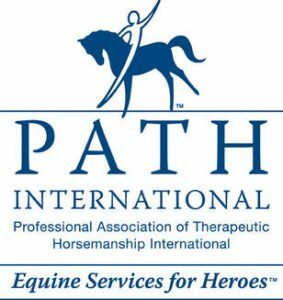 As part of it’s expansion of services, Sunrise will also be offering mentoring opportunities for individuals pursuing Professional Association of Therapeutic Horsemanship International (PATH Intl.) registered instructor certification. This twelve week program accepts applications from PATH Intl. members who have already begun the certification process, and covers safety standards, various illnesses and disabilities, and instructor training. Mentees will be able to complete their required teaching hours through this program. A recent article by the College of William and Mary in Virginia talks about how the Therapeutic riding can assist children with autism in the classroom. Autism is the most common of the disabilities that Sunrise serves. As an instructor I have watched the slow transitions as well as the fast ones. One day I had a rider come out that was shy, hid behind his mother most of the time and I worked on getting him to come out of his shell, every time he comes out now he gives me a hug with a big thank you. I have watched another rider who took much longer to get out of his shell where he was afraid of riding he needed a leader and side-walkers when he started off, as the lessons progressed he started sitting up taller focusing on what he was doing better. I have seen screaming students turn into confident proud riders, I have seen riders that would cry at things they couldn’t control become more accepting to trying something new and learning that mistakes happen and they can work to fix them or move on from them. Have you heard the term hippotherapy and then the term therapeutic riding but, not sure if there is a difference? Therapists have found this type of therapy may be beneficial for Cerebral Palsy, Multiple Sclerosis, Developmental Delay, Traumatic Brain Injury, Stroke, Autism and Learning or Language Disabilities. So, what’s therapeutic riding? Well, that can involve more than just the movement of the horse. 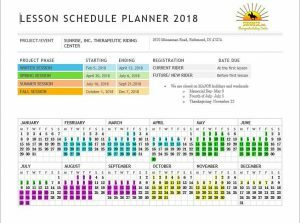 Therapeutic riding includes activity, riding, learning about the horse, health benefits, physical activity and many other benefits of riding. Visit PATH’s website for more information about the benefits of therapeutic riding. Visit both Hippotherapy Association and PATH to learn more! 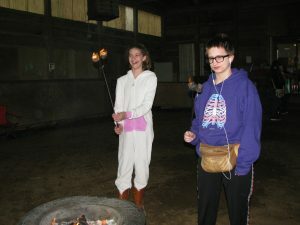 Horse therapy or therapeutic riding for special needs individuals can make a huge difference in their lives. 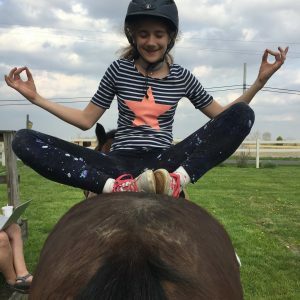 If you have a child but not sure of the benefits take a moment to listen to a recent news story in Texas about the benefits of therapeutic riding.